Reserve your banner today! It’s easy, effective, and affordable. Banners will be installed on August 1, 2017 and displayed until May 30, 2018. 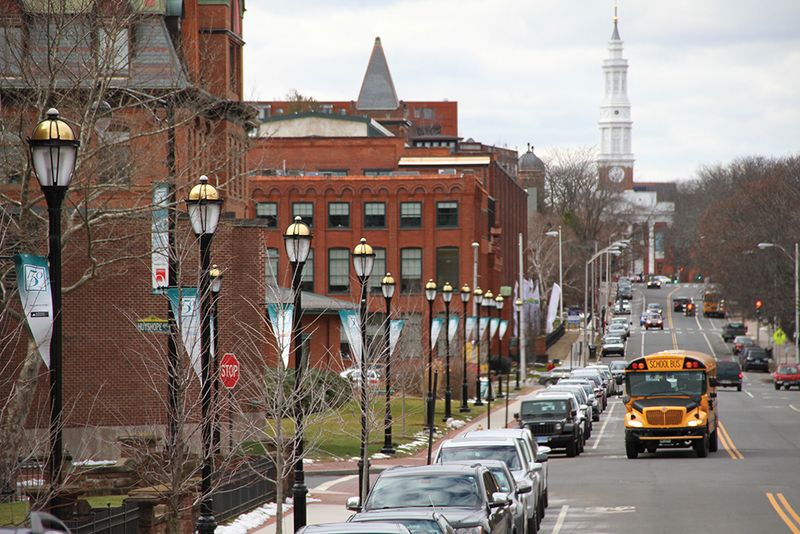 For a period of ten months, your company’s name will be prominently displayed along Charter Oak Avenue or Huyshope Avenue in the Hartford Coltsville Historic District, home to CREC Central headquarters. A limited number of street banners are available, so get your order in early. Interested in Multiple Sponsorship Opportunities? 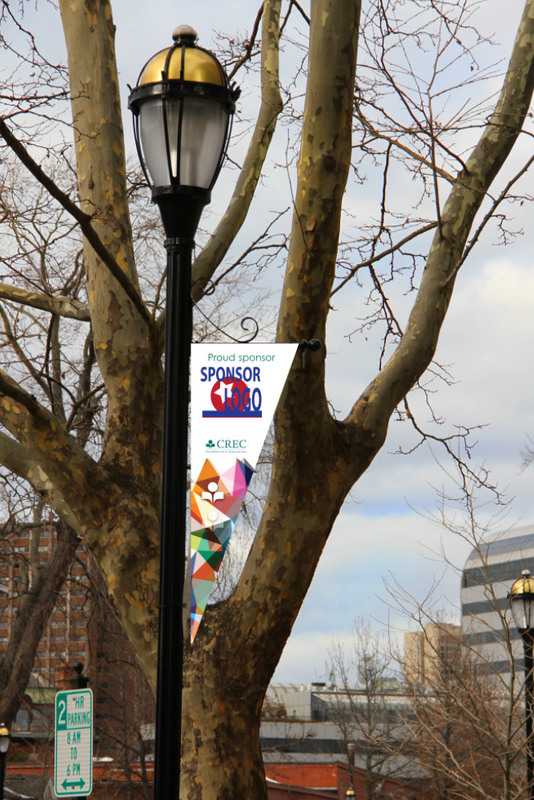 Lamppost banners come packaged with any Sponsorship Level of the CREC Foundation 3rd Annual Golf Invitational. 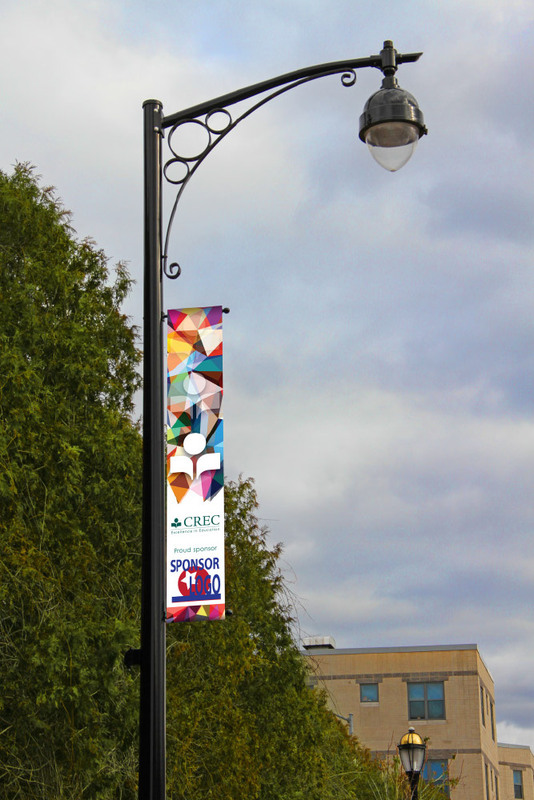 Option 1: Rectangle Lamppost Banner - 18" x 100"
Have your sponsor name or logo displayed at the bottom of the banner across the full 18 inch width, and 14 inches in height. 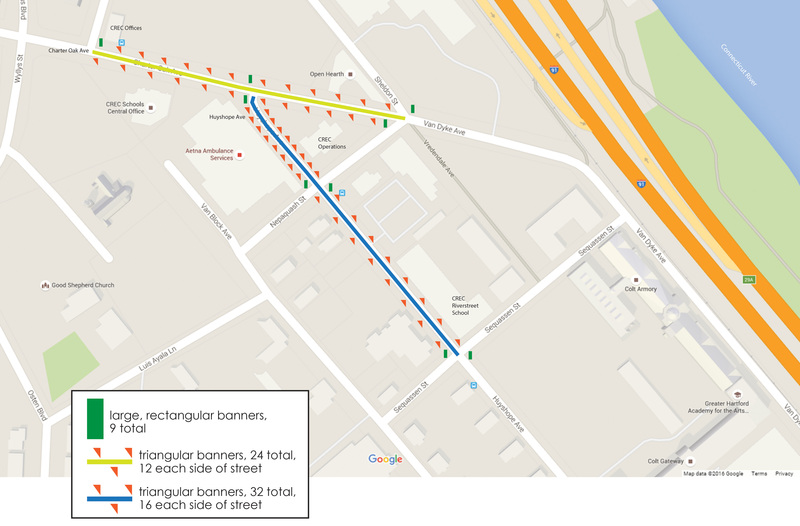 Your choice of banner location placement is on a first come, first served basis. Option 2: Triangle Lamppost Banner - 17" x 48"
Have your sponsor name or logo displayed in the entire upper area, with a printable area of 9.5 inches width, and 8.5 inches height. Note: Banners shall not be used to convey political, campaign, or religious messages.